Like I once did, you might have thought that what really made the difference between organizations was innovation, creativity, “smarts”, great strategy, marketing and so on. Not so according to Mr. Lencioni. And from my experience (not nearly as extensive as Mr. Lencioni’s!) I completely agree. I have encountered so many organizations from companies, to churches, to non-profits that have great, smart, talented. passionate people and they are operating like they are in quicksand. What is lacking is organizational health – they are dysfunctional in much the same way some families are dysfunctional. Additionally, after becoming immersed in the culture of my new employer, Ambassador Enterprises, I have an even deeper understanding of the importance of organizational health. At Ambassador, we have some core “sayings” such as, Relational Effectiveness Drives Organizational Performance and one of our core goals is creating A Community That Cares and A Team That Performs. Notice that “A Community That Cares” comes before “A Team That Performs”. That order / priority is very intentional and very important. We are very focused on organizational health and as a result it is a community that cares and is a high performing team of professionals! And at Ambassador, we would go on to say that if you want a healthy leadership team, you need individual leaders who are healthy. You need leaders with high Emotional Intelligence, who are mature individuals, and who care deeply about community. 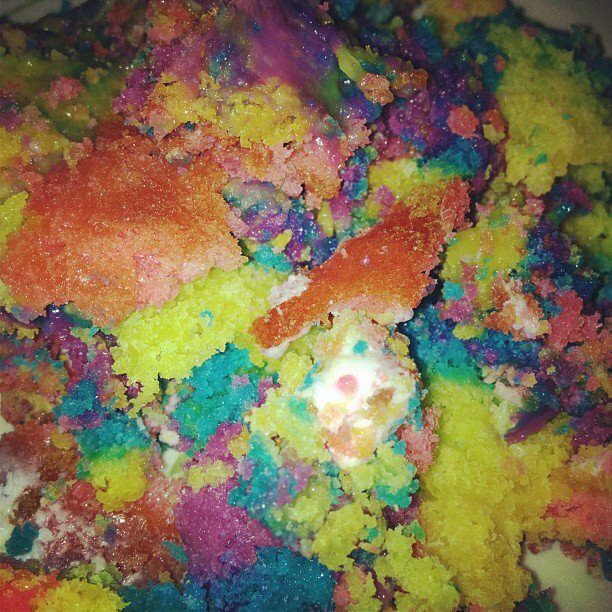 Is your organization healthy? Why not? What are the dysfunctions you are seeing? How can you help your organization become healthy? How about you? What are your opportunities to grow and become a healthier leader? Today – resolve to become healthier and stronger. Quit struggling in the quicksand. Get out and make a difference. *Lencioni, Patrick M. (2012-08-21). 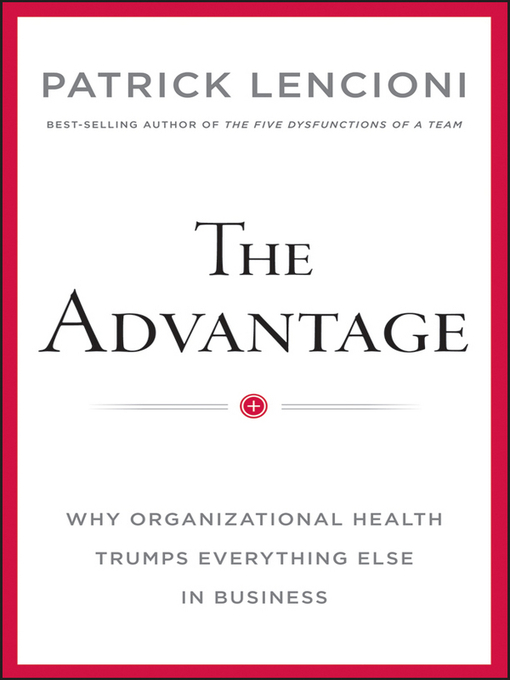 The Advantage, Enhanced Edition: Why Organizational Health Trumps Everything Else In Business (pp. 8-9, 19). Jossey-Bass. Kindle Edition. Does your team have the clarity they need to accomplish their mission? Does your organization have the clarity it needs to move towards mission accomplishment? Too often the answer is no. In his book, The Advantage, Patrick Lencioni gives six critical questions that every organizations should be able to answer. If you can answer these questions then you will be moving towards creating clarity that will bless your staff and help you move the organization towards mission accomplishment. By the way, jargon, slogans, meaningless words or fancy language are not allowed! Keep it simple and real. 1. Why do we exist? Successful and enduring organizations understand the fundamental reason they were founded and stay true to that reason. 2. How do we behave? This should be embodied in your core values and be the ultimate guide for staff behavior at all levels. 3. What do we do? This is the simplest of the six – what is it that you do? Define it clearly. 4. How will we succeed? When you answer this question, you are essentially setting your strategy. 5. What is most important, right now? Determine what is THE priority right now, not priorities. Too many organizations have 7, 8 or more “top” priorities. You need to determine what single priority is most important, right now. 6. Who must do what? Do you leaders / staff really know who is responsible for what? Or is there some confusion? Maybe multiple people thinking they are responsible for the same thing?You need to clarify roles and responsibilities. If you can answer these six questions with your leadership team, then you are well on your way to achieving clarity within your organization in a manner that will propel you towards mission accomplishment. Do You Really Have a Leadership Team? Do you really have a leadership team? Most of us do in name, but do you in actuality have a team? In his book, The Advantage, Patrick Lencioni says that in reality what most of us have are leadership working groups – not teams. Think about it this way – a working group is similar to a golf team where the players go off and play their own game and then get together at the end of the day to tally up their scores. A real team is more like a basketball team where everyone is playing simultaneously in a mutually dependent way and even interchanging roles. And if one player is not performing up to their potential, then the team suffers. Most of us in reality have working groups of leaders who come together to represent and advocate for their areas in a joint meeting instead of a team where leaders come together around a common goal and with a focus on the greater good for the overall organization. Moving from being a working group to a highly functioning team is an intentional choice and is a lot of hard work – but worth it. If you are a leader in a church or ministry, you owe it to those you lead to build a team and to not be satisfied with simply a working group. The basis to having a healthy organization is to have a healthy leadership team. Without a true leadership team that is healthy, you will not have a healthy organization. Tomorrow is Good Friday, take time to meditate on the sacrifice made by Jesus Christ upon the cross that paid the penalty for our sins. What a wonderful, outrageous act of obedience and love. We are truly a blessed people. Take time to praise Him. Tomorrow is Friday, but Sunday is coming! What Kind of Leadership Team Do You Have? “The first is led by a leadership team whose members are open with one another, passionately debate important issues, and commit to clear decisions even if they initially disagree. They call each other out when when their behaviors or performance needs correction, and they focus their attention on the collective good of the organization. Where would you rather serve? Which one describes your leadership team? The above quotes are from Patrick Lencioni’s newest book The Advantage that has just been released. The entire focus of the book is on organizational health which he says is THE issue in the success or failure of an organization. It is an outstanding book that I highly recommend. I will post a few more times on the book this week. Blessings on your day! I hope that you are setting your heart and mind on the significance of what Christ accomplished on the cross and the incredible hope we have in His resurrection!